When people seek help to improve their presentations, the most common thing they want is to overcome a lack of confidence. They typically want to feel more confident both before and during their time in the spotlight. The good news is that there’s much that can be done to structure and deliver your presentations in a way that makes them confidence-enriching. There’s a range of simple things to work on to help make you look and feel more confident – such as taking a few big slow calming breaths just before you go on stage. There can be adjustments to the way you stand – often involving positioning your body in a more upright manner with both feet flat on the floor to make you look and feel more “grounded”. Here’s a not-so-tall person who always stands tall on stage. There can be changes made to the way you position your arms and hands – often shifting them from a defensive approach covering parts of your body to having them more up and open to show your keenness to engage with your audience. Here’s someone who tends to speak with her arms and hands apart during presentations and who deploys them with great effect. There’s also a range of techniques you can use to help visualise your confident success and then put that vision into reality. But the thing which empowers you to have the biggest boost in confidence is the knowledge that you’re imparting just the right CONTENT for your audience. Below is someone who often addresses the topics of anxiety and yet speaks with supreme confidence – at least in part because she works out the content for her audience so effectively. Now it may come as a shock to you to discover that, while I’ve had the privilege of helping a lot of people boost their presentation skills, Oprah Winfrey hasn’t been one of them. So you can’t credit me for all the things she does right – or blame me for anything tiny that she ever does wrong! 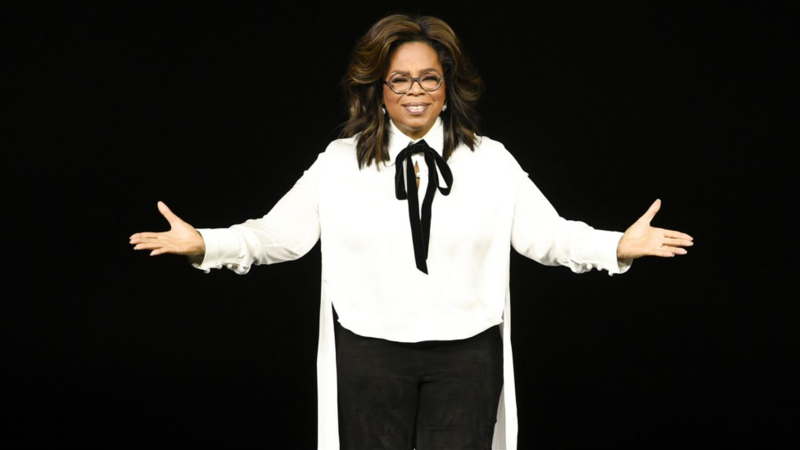 Oprah Winfrey’s latest big speaking performance – announcing that she was returning to the airwaves through the Apple TV+ offering – was another presentation triumph from which we can all learn. It was a potentially tough gig – at the end of the recent “Apple Event” in the Steve Jobs Theatre in California – and broadcast live around the world to millions. 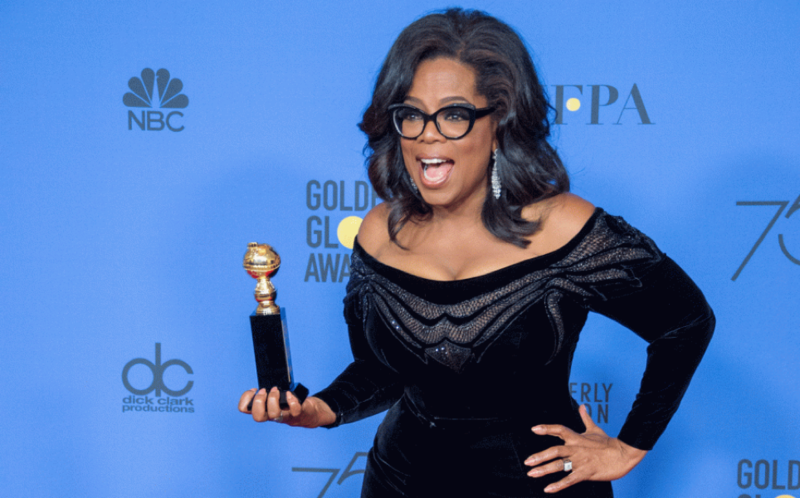 It could have been difficult for Oprah because she appeared towards the end of the event which ran for almost two hours and, despite a high standard of presentations by others before her, did go on – in my humble opinion – a touch too long. And there was so much hype throughout the event, that the appearance of Oprah Winfrey could have ended up being anti-climactic. Instead, she managed to take things to a new high. After all the razzmatazz that preceded her slot, the relatively low key but effective introduction to her by Apple boss, Tim Cook – followed by simple black and white words on the big screen with a gentle musical backing – helped set up Oprah to hit the right note. 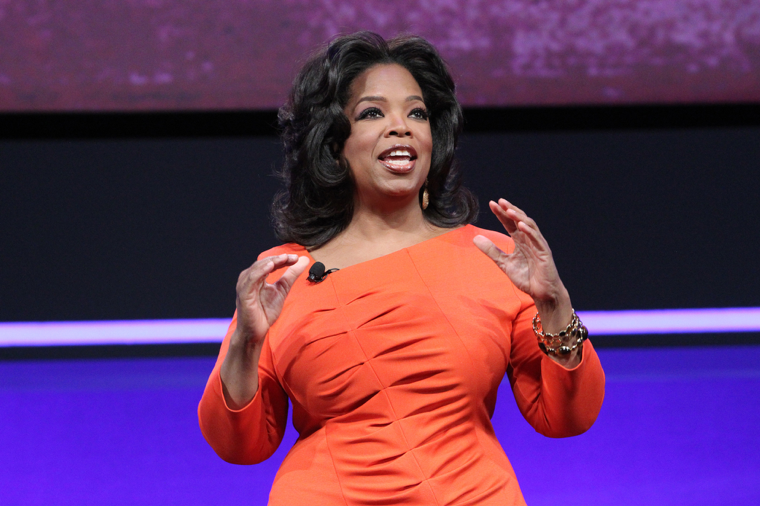 One of the reasons Oprah was able to sound characteristically inspiring – and sufficiently confident that she bounced back from a couple of tiny verbal slips without missing a beat – was because she had the right content for the occasion. There’s a simple way of helping you to pick out the right content for your future presentations. After finding out as much as you can about your audience members and their requirements in advance, draw two overlapping circles like this. 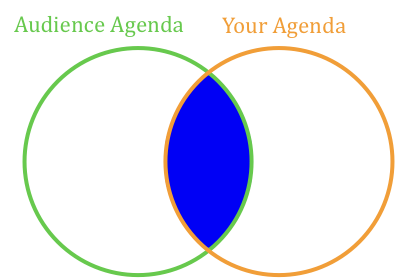 In one circle write down what that audience needs to know – which is the Audience Agenda. In the other circle write down what you can potentially tell that audience in the way of messages – with facts and stories to back them up. This is Your Agenda. Then work out, from all the things you can say, what falls within the zone where the two circles intersect. This is where the win-win points between you and your audience lie. If you get this right, you can feel supremely confident that you have the content your audience needs – which enables you to feel confident before and during your presentation that you’re dealing with exactly what they require. You are much better off starting your preparation with the two circles – not beginning where so many presenters get it wrong, by asking themselves: “What slides will I use?”. Any slides, if you choose to use them, should be decided upon further into your preparation time, not at the start. But do be aware that you can do highly effective presentations WITHOUT slides. And you can also do highly effective presentations WITH slides – though be aware that this is a bit more complex. This is why, when I’m helping audiences boost their presentation skills without and with slides, I seek to do it in two parts. The ideal is to boost your skills in presenting without slides first. Then you’re in a better position in the second part to handle the added complexity of designing the right slides and interacting effectively with them. I particularly like to run the sessions in this order when working with business leaders’ groups – where typically fast-learning chief executives gather together for day-long meetings with up to 15 participants. It’s great to work on presentation skills with such groups as MD2MD, the Academy for Business Leaders And Entrepreneurs, the Yorkshire Leadership Group, the London Leadership Club and the Academy for Chief Executives among others. You may or may not seek to reach or surpass the astronomical levels that Oprah Winfrey has managed in her dazzling career so far. But if you can pick up some clues from her consistently impressive high impact performances, then you could be well on your way to hitting your own stratospheric heights!